Steven Frankel is an ABPP certified clinical and forensic psychologist (PSY3354) and an attorney at law (SBN 192014). He received his Ph.D. in Clinical Psychology from Indiana University and completed an internship at Columbia University’s Psychiatric Institute. 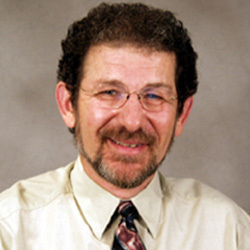 Dr. Frankel has been on the faculty of the University of Southern California for over 35 years and is currently a Clinical Professor of Psychology. He served as an Adjunct Professor of Law at Loyola Law School (Los Angeles) and is now an Adjunct Professor at Golden Gate University School of Law. He has taught courses on healthcare policy, regulation of healthcare practice and mental disorder and the law. He has authored over 50 articles and book chapters. He has won the USC Award for Teaching Excellence early in his academic career and is nationally recognized for his expertise, sense of humor and ability to bring his course material to life. Jeff Zeig: You are a clinical psychologist who later entered into the legal field. Tell us about that. Steven Frankel: I had been teaching full time at USC in the Psychology Department for 11+ years, I left to go into clinical practice full time, because I needed to make a living. I left USC full time in 1979. I remained an adjunct, and I’m still a clinical professor there. I practiced clinical psychology, and I practiced in ways that very much involved Ericksonian and hypnotic models and family-system models. And I supervised students at USC. Then in 1990 or thereabouts, when my life changed, I shifted around in terms of things I wanted to do. I started law school in 1993. I went part time in the evenings for four years at Loyola of Los Angeles, from ’93 to ’97. I practiced psychology by day and then went to law school at night. Now I’m almost 12 years in law practice. JZ: You still practice psychotherapy and hypnotherapy one day a week, especially with traumatized patients. SF: Yes. My psychology practice has become exclusively devoted to adults who claim child abuse histories. I practice therapy on Wednesdays. JZ: We’ve relied on you heavily, and you’ve been a wonderful friend to the Erickson Foundation. You’ve been teaching the ethics courses for us for quite some time now – six or seven years. And I have attended those ethics courses repeatedly. Every time I attend I learn more. Sometimes I have feelings of abject terror, but most of the time, fascination. What is the essential message that you’re trying to teach students about professional ethics? SF: Well, the first message is directly about something that you just said which is to try to lower their anxiety level and lighten up, because mental health professionals are actually relatively blessed in the world of bad things that happen to professionals regarding misdeeds of one sort or another. Relative to the number of therapy professionals, the actual number of us who run into board actions and lawsuits is relatively low. I can speak personally. I’ll give you reference data. I carry as much malpractice as I can. As a psychologist, I’ve never had an action brought against me, thank the forces that be, and I pay about $1,200.00 a year for my malpractice insurance. I carry as much malpractice insurance as a lawyer as I can. I’ve been practicing almost 12 years and I’ve never had an action against me, and I also pay $1,200.00, except it’s $1,200.00 a month. SF: So, that tells you two things: It tells you that lawyers get sued a lot more than psychologists do. And it also tells you that the cost of damages that aggrieved clients receives in lawsuits against lawyers are much higher than against psychologists. JZ: So, you want to lessen anxiety, but you don’t want people to be lax. SF: Correct. It’s trying to let people know where the dangers are, where the risks are, how easy it is to manage risks. But the fact is that risks have to be managed. JZ: And the essential message for managing risks? SF: Pay attention to boundaries, is the first message. Therapists absolutely have to be aware of boundaries, because the major complaint against therapists in general concern boundary issues. It’s important to keep aware of boundaries, pretty much all the time. JZ: Second to boundaries, what’s most important? SF: I think being too nice – being overly nice. We wind up promising things like, “I’ll stay working with you forever” and “Don’t worry, I’m not going to abandon you,” and “I’m not going to dump you.” We disclose things that we shouldn’t disclose because we’re nice, and we want to give people a sense that we’re human, too. But, we need a no-good-deed-goes-unpunished mantra to keep beating in the background of our minds. JZ: So, stay clear about professional boundaries, and know how the boundaries are written into the ethical codes for your specific profession? JZ: Okay. Now, being practitioners of hypnosis–and many of the readers of the newsletter are practitioners of hypnosis–what are the special ethical issues in regard to hypnosis, and also in regard to Ericksonian strategic practice? SF: There are three sets of issues that impact Ericksonian-oriented clinicians, a club of which I am proud to be a member. JZ: How does one do that? Is there something in the records that has to be indicated? SF: Yeah. There is. In fact, I can give you a free public website where you can go, and your readers can go, and evaluate and download and print out an informed consent form for collaterals in treatment. It’s www.apait.org. It’s the American Psychological Association Insurance Trust. You don’t have to be a psychologist to go there. You don’t have to be a member of APAIT to go there. It’s free and public. Go to the website and click on “resources” and “downloads.” You’ll see a bunch of informed consent forms in terms of treatment; informed consent for child treatment; and to be a coach, among others. Among the downloadable consents is the informed consent to collaterals. It explains what collaterals are; what rights they have and don’t have; and what expectations they have for confidentially. JZ: That’s very important for family therapists. What else? What are the second and third issues in regard to Ericksonian and hypnotic practice? The first is to tell people what you think is wrong–what’s going on–what you perceive to be the problem. The second is what you propose to do about it and the nature and purpose of what you propose to do. The third is what other viable options there are besides the one you proposed. and fifth, what the likelihood is of what would happen without any treatment at all. Some of those things get in the way of working in the kind of indirect paradoxical ways that we work. We’ve been influenced by Dr. Erickson. Sometimes telling people what we’re going to do and how we’re going to do it may make it hard to actually accomplish those things. Any kind of indirect involvement, or misdirection, can be difficult to explain in an informed consent form. So I’ll show you how I do it. SF: The third thing has to do with hypnosis. As you know, probably better than I do, hypnosis has a checkered career in the world of mental health because it has been bandied around by people with different political aspirations and different worldviews. There are complex issues that arise with people who do hypnosis. One issue is to always make sure that one gets an informed consent to hypnosis, if one is going to do formal hypnosis. If one is going to do an indirect talking-through kind of Ericksonian interventions, then the kind of informed consent I just described would work just fine. If I was going to do formal hypnotic inductions, informed consent to hypnosis is really going to be important. A section of that has to include whatever the relevant jurisdiction concerns are about the implications for hypnotically derived testimony. Now, speaking as both a psychologist and an attorney, in cases where people are treated with hypnosis, some States will not allow testimony that’s emerged from hypnotically induced circumstance as admissible testimony in court. Some allow it and some won’t. The rule varies State by State by State. So, practitioners who do hypnosis in a formal way, with an induction and so on, need to not only have an informed consent, but the informed consent really has to have an admonition about possible legal complications if they get involved in any kind of legal involvement. The fact that they’ve had hypnotic treatment is going to be a potential problem of one sort or another and patients need to know that going on. Clinicians who do the kind of hypnosis that sometimes the police force uses to try and refresh memory–to try to access information–they need know that that will be dependent on the jurisdiction and it’s potentially highly problematic. So, those are the three areas: Making the child the patient even though one is doing family therapy as a way of protecting against third-party lawsuits; issues of indirect or paradoxical interventions and informed consent; and the issue of formal hypnosis and its implications for the legal arena. JZ: And if a patient came and wanted hypnosis to stop smoking and that would have no relevance to any future testimony, you still would advise a signed release for doing formal hypnosis? SF: Absolutely, because what gets us into trouble are things that we didn’t contemplate and could wind up coming back to bite us. For example, if somebody does an hypnotic session with somebody who wants to stop smoking or wants to be a better tennis player or something like that, and something untoward happens in that patient’s life in some way and they say, “You know, it all started when I had this hypnotic session.” The next thing you know, you’ve got a legal problem on your hands. It’s always a good idea to get the informed consent signed. JZ: Anything else about note taking or record keeping that you would recommend that would be especially relevant to people practicing hypnosis and strategic therapy? SF: Well, I think you begin with the fact that notes have to be taken. It’s very rare anymore that you can be in a jurisdiction where no notes are allowed. Some records have to be done. Both my psychological and legal mind say that notes need not be very detailed. They need to be terse. They need to be able to communicate what you did and why you did it. If you are thinking of new things, what kinds of things you think of. But I think what we used to call “process notes” are legally risky. Those are the type of notes that are information about the dynamic forces involved and this is how they play out. I’d rather be on a witness stand and be accused of writing too little than writing too much, because attorneys are well-trained “borderlines” to the degree that if they don’t bring that proclivity to law school, then they’re trained to find some kernel of hideous truth and blow it up until there’s no other room for anything else. So, it is best to write fewer words because each word that one writes is an opportunity for a borderline-trained attorney to do a twisting-and-turning number about it. JZ: Okay, now if we wanted more information, more reading or to access your website, what would you recommend for future home study? SF: Well, I have currently a six-hour law ethics course on my website. It’s a video. It’s not a downloadable paper. It is video, so you can get it either by streaming or you can get it on a CD or a DVD. I’ve just recorded a brand new one that includes some of the issues that we’ve just talked about today, and some related issues about making physical contact with patients. That will be up and posted by the end of October of 2008. So, there will be a full 12-hrs worth of video training available, all approved by the American Psychological Association and in the various States for continuing education credits. JZ: Fantastic. I really appreciate what a great friend you’ve been to the Eriksson Foundation and we’re looking forward to seeing you in December at the Brief Therapy Conference. We look forward to learning more about professional ethics from you. Thank you so much. Steven Frankel will be presenting a course on Law and Ethics at the December Brief Therapy Conference. You can see him at the Pre-Conference on Wednesday, December 5th.